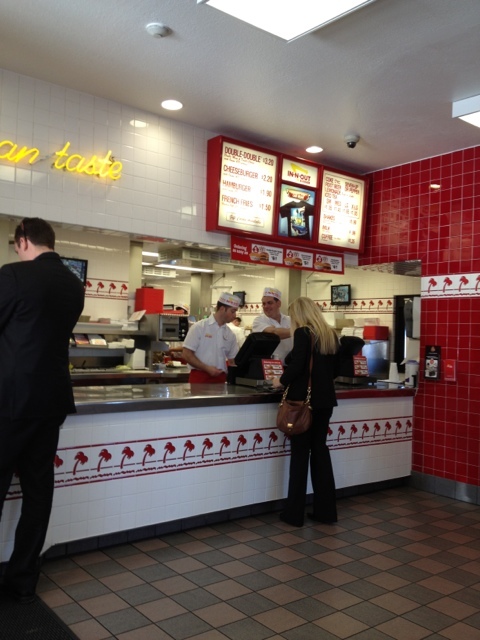 G and I crossed off another to-do on her list and stopped at In-n-Out while on the road. To be honest (please don’t hate me), my experience with InO has been meh. But everyone yells at me when I say that and say it is my fault I didn’t order from the “secret” menu. So this time I searched the web and prepared for my order. I ordered a cheeseburger animal style with a side of peppers and fries well done. Don’t get me wrong, it’s good. The lettuce is crisp and the tomato tastes fresh. I’m not a huge fan of caramelized onions but these were pretty yummy. The meat and cheese is awesome as meat and cheese normally is. But it just isn’t as amazing as everyone makes it out to be. And the fries, well done or regular, are flat out bad. I’m still a bigger fan of Five Guys but at $5.20 for all that plus a drink, InO is at a different price point so it might not be fair to compare. It’s certainly worlds better than McDonald’s. 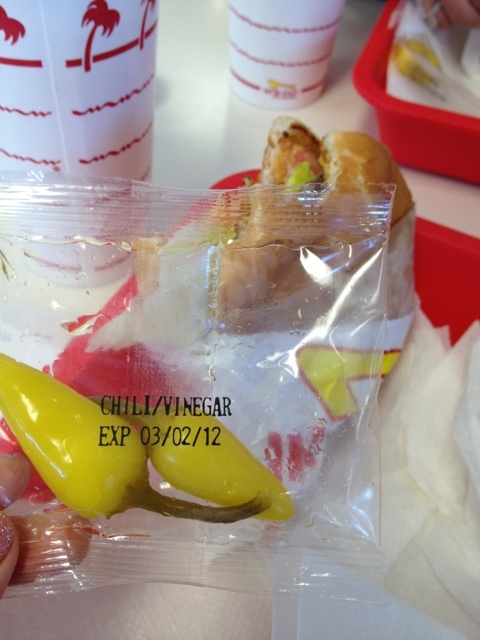 Although (please don’t hate me) the animal style sauce just tastes like Big Mac sauce to me. Why do I have a bad feeling that I’ve lost some readers. Sorry, Californians. I just tell it as I taste it. More from MWG in SF soon! 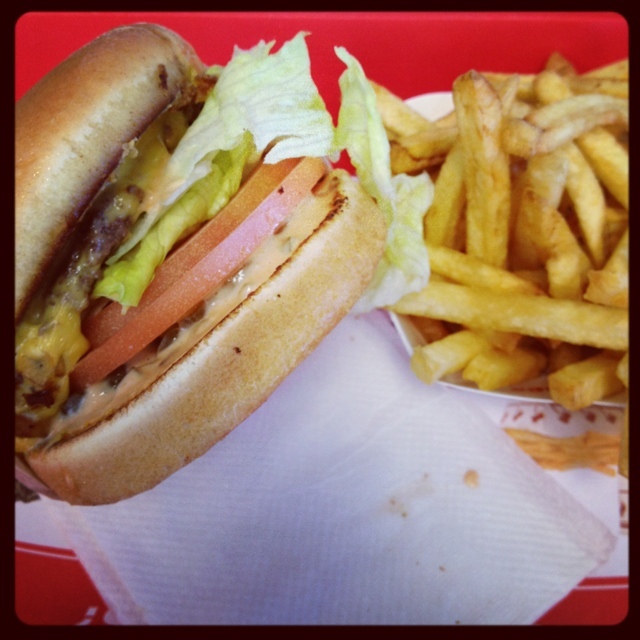 What are some of your favorite places to go/eat/see in SF? We are going on an architectural walking tour this morning and I’m super excited to nerd out in the city with my girls. What an eventful year 2011 was for me: I tried my first case in the clinic I was in at law school, I graduated law school, I moved to California with R, I took and passed the bar, I was sworn into the California State Bar making me an actual real lawyer, I got a new job, and I started this blog. Whew. I’m excited to see what 2012 brings! The end of 2011 was lovely. R and I had a special first Christmas Eve dinner together. 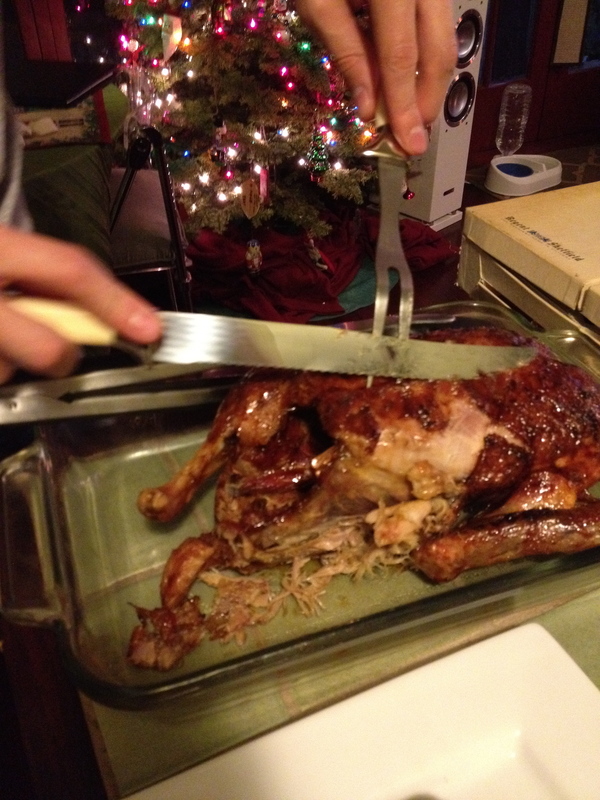 Roast crispy duck with soy sauce, honey, molasses glaze. The combination of a very long trip to Best Buy on Christmas Eve and a still partially frozen duck even after it had been thawing in the fridge for three days pushed back dinner to 10:30pm. R was such a gentleman though and didn’t complain one bit even though I know he was probably starving. I followed the instructions from The Hungry Mouse. It was good, but some parts were a bit dry. The legs were awesome though and now I got a big jar of duck fat in the fridge I’m dying to cook with. 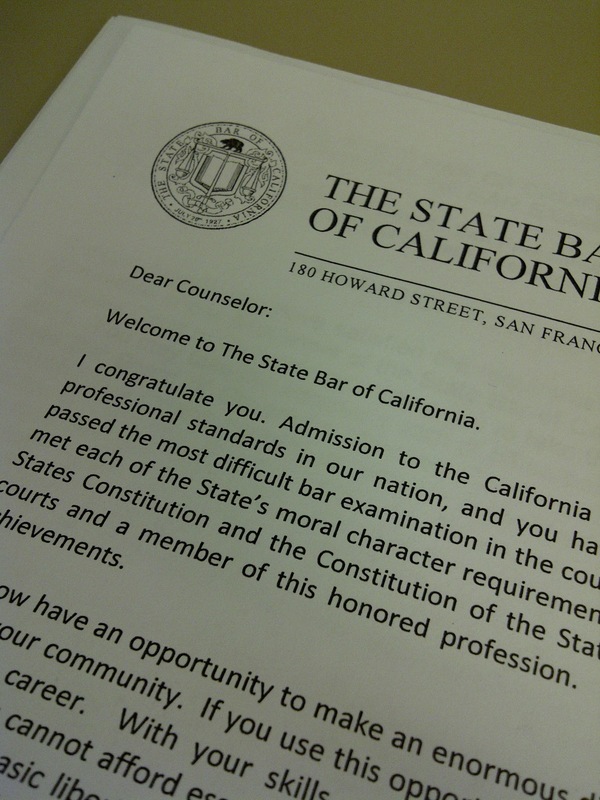 After waiting almost 4 months, R and I got our bar exam results. Thankfully, it was good news for both of us and we celebrated with good food, lots of Salvadoran beer, and new friends. Last week, we made it official by going to the historic Pasadena Civic Auditorium to take our oath and get sworn into the California State Bar. Chicken liver, striped bass, old friends, and apple pie. A college friend and her girlfriend came to town and we were able to score some last minute reservations at Salt’s Cure, knocking one more off Jonathan Gold’s 99 Essential LA restaurants list. We felt pretty hip because it was hard to find. 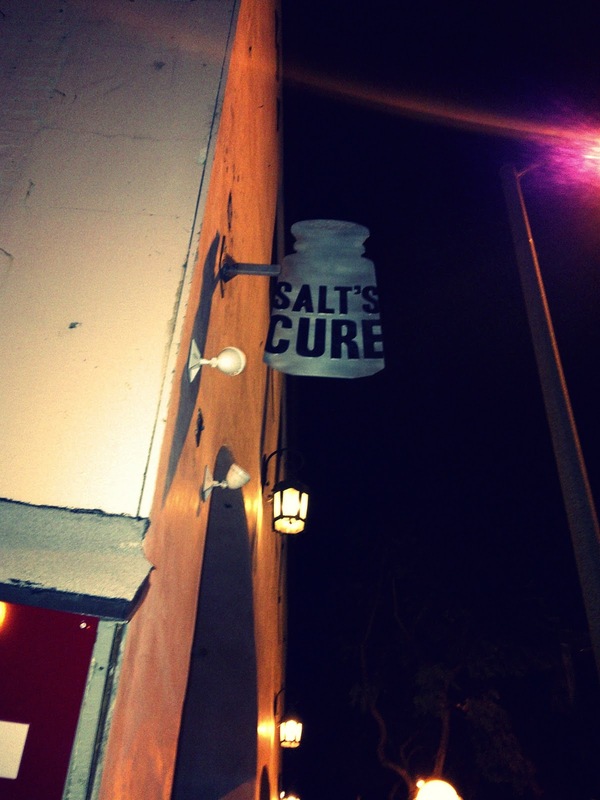 Salt’s Cure is located in WeHo right on the corner of Santa Monica and Vista. We passed it once walking down Santa Monica because the sign is tiny and way above my line of vision. [insert short joke here] Like many hip New American spots lately, it does all local, sustainable foods. 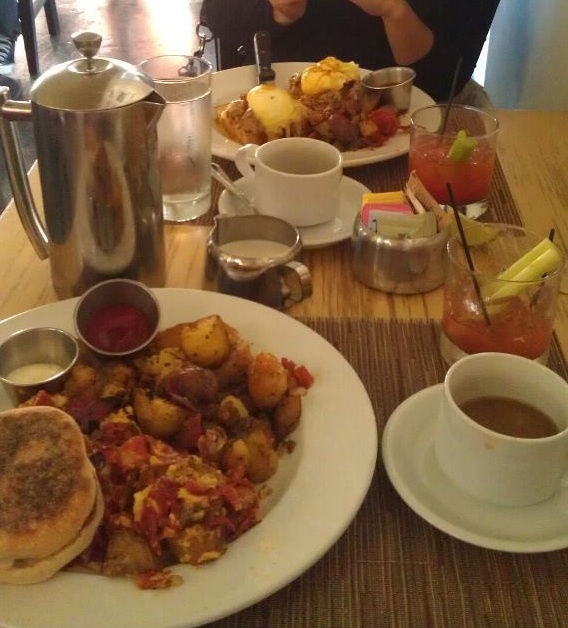 Brunch without bloodys is just lunch. Good morning! First, a quick administrative note: I changed the settings so you no longer have to register to comment. Now you can comment as much as your heart desires! A good morning, it is! Am I right? Yesterday, after fully taking advantage of daylights waking up at 6am and lounging around in bed for several hours while it rained, once the sun came back out we headed to brunch at bld in West Hollywood / Mid-City West (not sure what natives call that neighborhood; I just go by what Yelp and Google tell me). A buddy told me I should go to Urth Cafe in WeHo (that’s, apparently, what folks call West Hollywood) for some good food and celebrity sightings, but it sounded a bit too chaotic for me. Breakfast, spicy (but anorexic) bloodys, and coffee at bld.